Can you believe that the 2010 Olympic Winter Games from Vancouver is entering the final weekend? 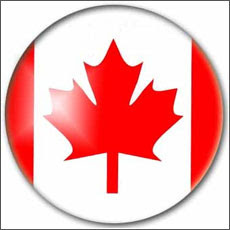 As a proud Canadian, I think that they have been a great couple of weeks, especially after such a tragic start to the games a on the opening day. I have enjoyed the games greatly. With unmatched coverage from the CTV network here in Canada including coverage from TSN and Sportsnet, it has been inspiring and entertaining to hear the stories of the athletes who have competed in the games for Canada and all participating countries. Dare I say that the coverage has been so great that I have not even had the urge to check out NBC's coverage. Tremendous coverage all around. If you missed anything, check out out top 10 2010 Winter Olympic Games Moments. While Canadian officials, prior to the games, stated that Canada would "own the podium" (which I love by the way), Canadian athletes came out as they typically do and were a little sporadic in terms of being crowned Olympic champions. The past couple of days has been a different story. Canadians have been making regular trips to the podium with some truly amazing performances. From speed skating to bobsledding, the Canadian athletes have not disappointed. With but a couple days left in the 2010 games, expect a few more exceptional performances from Canadians. Canadian teams are vying for medals in both curling and hockey while there are still medals to be claimed in snowboarding, skiing and speed skating events. I love the Winter Olympics. Ever since I was a kid, I remember watching them on TV and cheering for my fellow countrymen and women as they skied, slid, skated, shot and flew through the air in the various Olympic sporting events. The 2010 games in Vancouver have, from what I have seen been a tremendous success. The Nation's pride, the flowing colors of red and white in the streets has put a smile on my face. Vancouver is a great city to begin with. I had the privilege of living there for three years, it is one of the greatest cities in the world in the greatest country on the planet. Vanoc has done a great job and the city of Vancouver should be proud as should the rest of Canada be. O Canada, the true north strong and free.